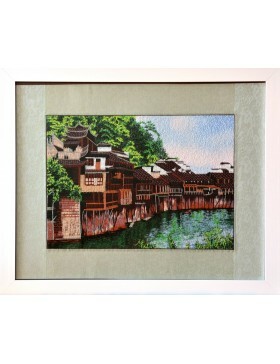 This traditional embroidery is a work of artisanry created using "Su Xiu" techniques whose origins date back thousands of years. 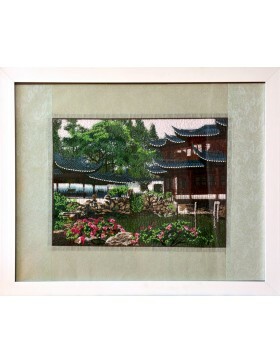 "Su Xiu" is an oriental embroidery style that uses coloured threads to create pictorial effects. 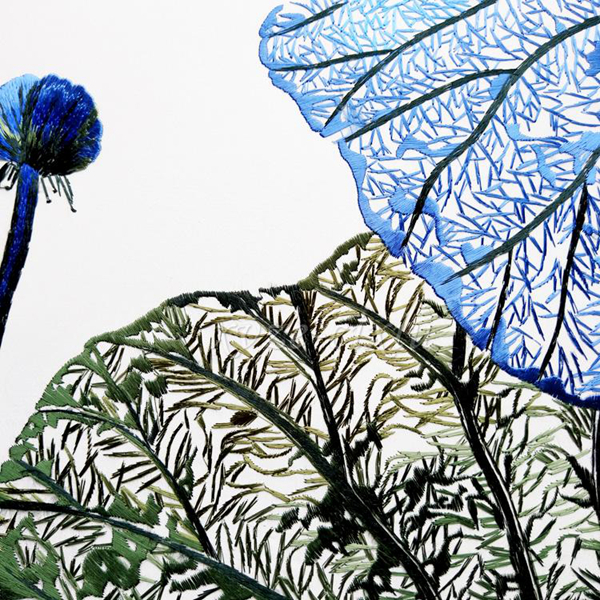 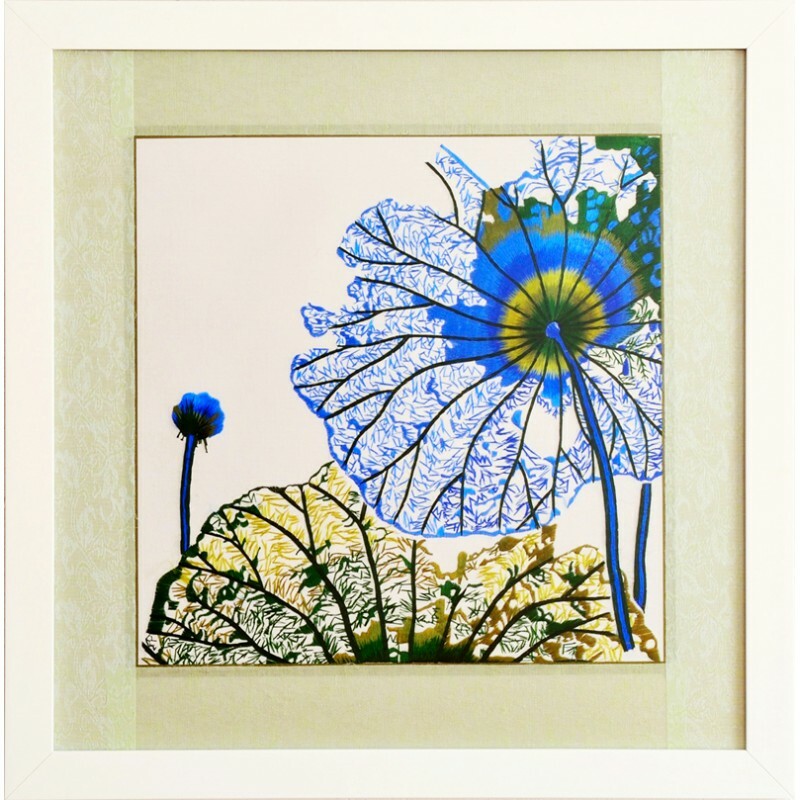 This work shows the beauty of some lotus leaves, a plant traditionally praised in the orient, but which in this work is expressed in a modern and avant-garde way. 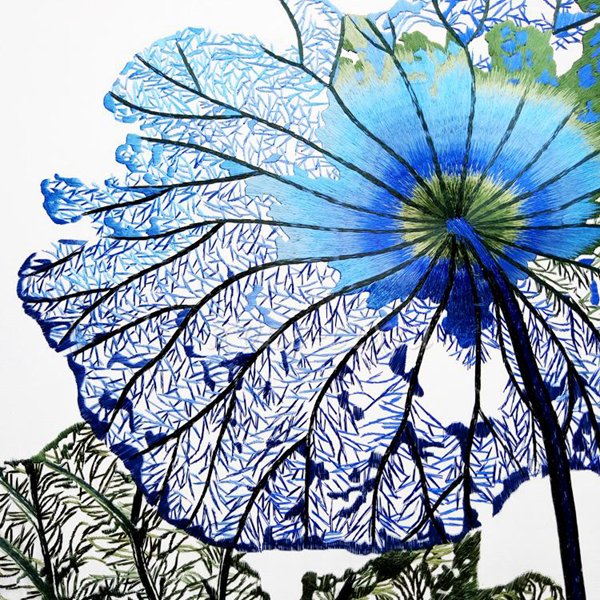 The embroidery represents the natural lines of the leaves in a very detailed way. 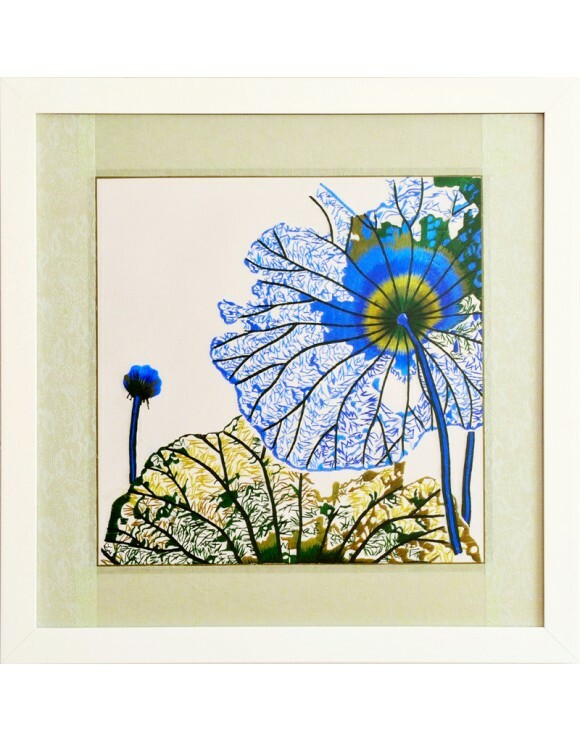 This wonderful artwork recreates feelings that remind us of nature's beauty, and with its fascinating shapes it will decorate your home bringing peace and good luck to it. 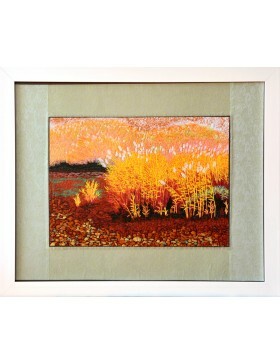 The embroidery is framed professionally with quality materials, and is delivered perfectly packaged and protected.